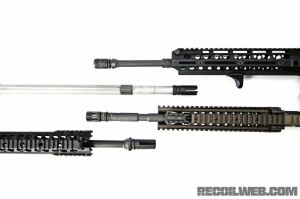 Reid and Jake discuss the vast variety of options available for choosing your AR-15 Barrel. have some "roll pin" punches--very convenient (the set from DPMS @ $100 sux - you can get a cheaper set from Amazon that is 1/2 as cheap although neither have the "roll pin" indentations.) - also, you want some that are long enough to go through the lower with some left over. use a woman's make-up brush (fans out) to apply light layer of gun oil. Looks like a mini shaving brush.